Kentish Gazette, Saturday 13th March 1776. To be sold by private contract, all that good Cutter called the Swallow, a prime Sailor, of the Burthen of 50 tons or thereabouts, now lying at Anchor in Halstow Creek. The above Cutter is well found, and they fit for Sea. 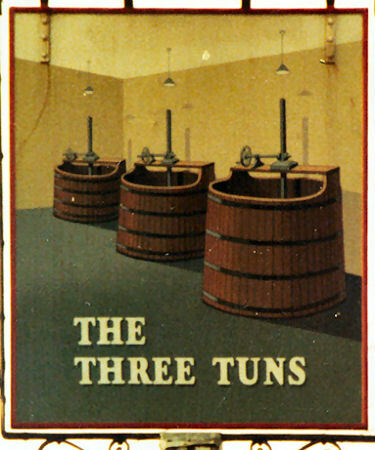 For further particulars enquire of Mr. John Parkinson, at the "Three Tuns" in Halstow the Lower. The Illustrated Police News, 17 November 1877. Serious Explosions at New Cross and Sittingbourne. On Wednesday afternoon two road locomotive or traction engines belonging to Messrs. Chittenden, Knight, and Co. were on their way to Lower Halstow, near Sittingbourne, to do some steam ploughing, and a halt was made at the "Three Tuns Inn" for the drivers to obtain some refreshment. Before going into the house they attended to there fires and saw that there was plenty of water in the boilers. Just before they were ready to start, Luckhurst, one of the drivers, again went to see that the water in the boilers and the fires were right, and he had only just got off his own engine when the boiler exploded. The engine was blown to pieces. Luckhurst had a most miraculous escape, as did also several other people; but happily no one was seriously injured. The front of the public house was blown in, and the flywheel of the engine came crashing right through the roof into the taproom below. It will cost at least £300 to repair the damage to the public house. Heavy pieces of iron, &c., were blown in all directions to a considerable distance. The engine has been in use 7 or 8 years. It is stated that at the time the explosion occurred the steam gauge only registered 100lb., and there was plenty of water in the boiler; but it is believed the accident was due to one or more of the stays giving way. There had been signs that the stays were getting weak, and one of them had recently been removed. Information from their web site September 2015. 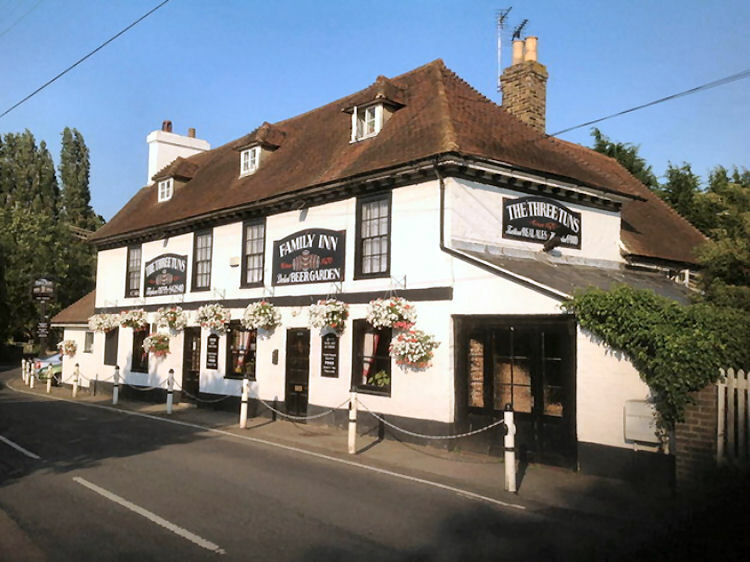 Tucked in the small rural Kent Village of Lower Halstow, you will find the warm welcome of the Three Tuns Public House and Restaurant. This traditional country inn is now owned and run by Chris and Carol Haines. Also let's not forget our recent recognition and national award for the ‘best pub chips'. Our Chefs are highly trained, having spent much time working in France and as leading Chefs in some of Kent's finest establishments and Hotels. 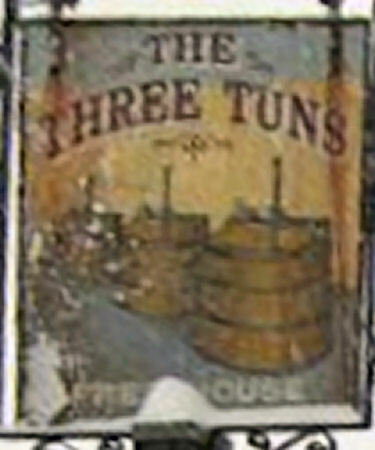 The Three Tuns was awarded a place in the ‘Good Beer Guide' in 2012 , 2013 and again 2014 and voted Runners up for Branch Pub of the Year. You will always find 4 local ales on tap to enjoy from a variety of Kent's Micro Breweries, along with a selection of Local Ciders. A large beer garden at the rear of the pub provides you with a relaxing stream side decking area and plenty of seating, plus is the venue for many an event including Farmers Markets, and a summer Beer Festival. Mysterious and spooky stories are plentiful and whispers of unexplained ghostly activities and secret tunnels are a frequent talking point with the locals. A great meeting place with friends and family, or the perfect place to start or end any walk for ramblers or Dog walkers as the surrounding area is abundant with history with many public footpaths. Take a few steps from the Saxon shore way and enjoy a cream tea or a refreshing pint of Kentish Lager.